Lemon is known to have originated in Asia, some linked it to northwestern India but its true home is unknown. Its appealing color, odor and flavor makes lemon the leading acid fruit in the citrus family. Lemon nutrients consist of alkaline elements, vitamin C, element potassium, and the vitamin B1 are found in high amounts. In foods, the juice of lemon is excellent when used in salad dressings instead of vinegar, and is also used to flavor different culinary dishes. For sweet fruit juices lemon can be used as a neutralizer. It can also be added to milk or cream and even canned milk, to curdle it in the preparation of cottage cheese. Slices of lemon are served as a garnish on fish or meat or with iced or hot tea, to be squeezed for the flavorful juice. Lemon juice, fresh, canned, concentrated and frozen, or dehydrated and powdered, is primarily used for lemonade, in carbonated beverages, or other drinks. It is also used for making pies and tarts, as a flavoring for cakes, cookies, cake icings, puddings, sherbet, confectionery, preserves and baked goods . A few drops of lemon juice, added to cream before whipping, gives stability to the whipped cream. In its medicinal uses, the sweetened juice is given to relieve gingivitis, stomatitis, and inflammation of the tongue. Its juice in hot water has been widely used a daily laxative and prevention of the common cold. Lemon juice and honey, or lemon juice with salt or ginger, is taken as a cold remedy. The juice of lemons is excellent and effective remedy to treat disorders of the throat. If the person affected with colds, drinks a glass of warm sugarless lemonade, the high vitamin C content of the lemon can actively aid in suppressing the onset of a cold. Resistance in the body and the immune system are also boosted by consumption of lemons, it also aids in digestion and buffers the body against toxins. For personal consumption, lemon juice may be used to soften water which makes an excellent rinse when using it after shampooing hair and it is also a natural hair color lightener. 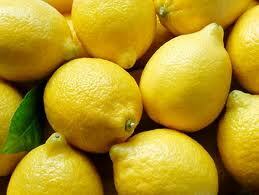 Lemon juice has been used for bleaching freckles and is incorporated into some facial cleansing creams. It helps the skin, because of a tonacite which protects the skin from its environment. If your skin has imperfections, the lemon has antibacterial activity that helps eliminate blackheads on oily skin, it tightens the pores, disinfects, dries and removes small spots. 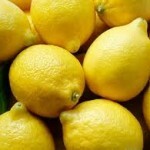 The lemon has antioxidant which help fight against wrinkles. It has disinfecting and bleaching properties that supports different types of skin. It naturally cleanses, moisturizes the skin. The effects of scrubbing lemon on the skin works wonders. Lemon juice is one of the best things you can use for skin care. It is valued in the home as a stain remover, especially to clean copper-bottomed cooking pots and is used as a cleaner for aluminum and copper. Lemon peel oil is much used as ingredients to furniture polishes, detergents, soaps and shampoos. It is also an important ingredient in perfumes and colognes.